We took them down to Moors Valley, our local country park/forest to give them a test drive. The first thing that caught my eye was the fantastic design. As soon as we saw these gorgeous yellow and blue umbrella boots we knew they would suit Max and be awfully cute! I'm a sucker for any bright patterns and designs so I knew these would be a hit. 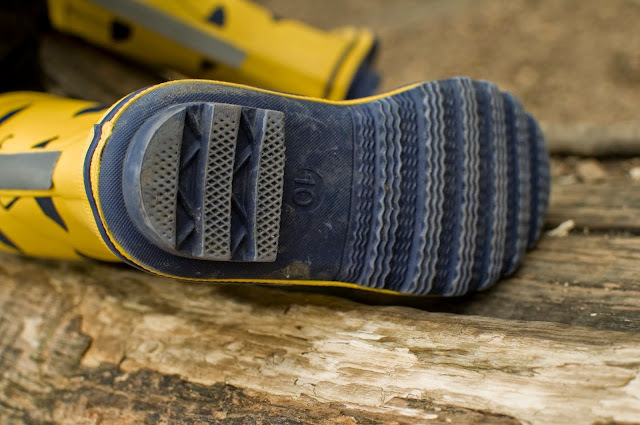 The boots are 100% rubber and bonded together really well so there are no chances of any leaks or breaks. The fact they are cotton lined makes them so warm and toasty, so much so that Max hasn't wanted to take them off! 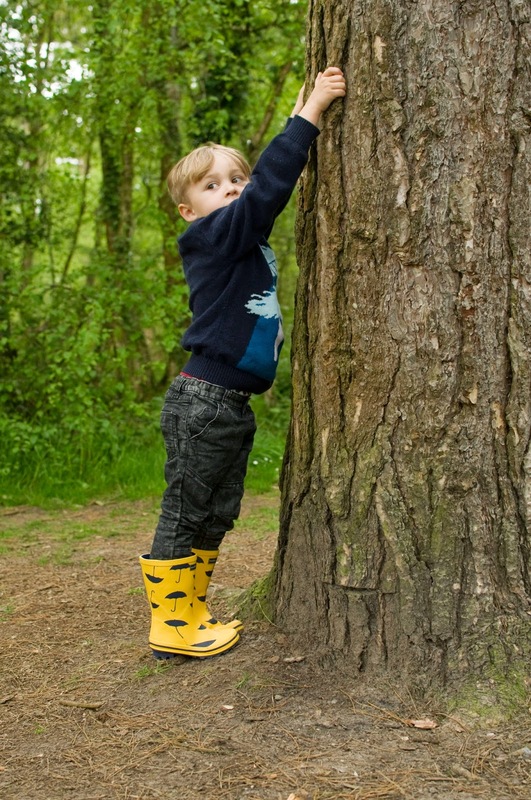 They have really thick soles so that they have plenty of grip, as all kids still love to climb and jump in their wellies even if it is raining! I've not seen wellies with this much grip on the sole, so I know that they will be durable and last a long time. They have a great reflector stripe on the back too that they have good visibility, especially if you are hiking or going somewhere far. We found that with the wellies we didn't have to worry about losing Max amongst all the other kids as his boots were so bright and recognisable. The boots were great for Max. He could run about, climb up trees and didn't have to worry about them slipping off or getting stuck. They were really easy to clean too after an afternoon spent jumping in mud and dirt (I wiped them with a damp cloth and left to dry in the hallway on a towel). He's worn them to preschool and had lots of compliments on how cool he looks in his wellies. Something which he is very chuffed about, and has now resulted in him wanting to wear them all the time! The boots are priced at £16.99 which I think is a fab price. 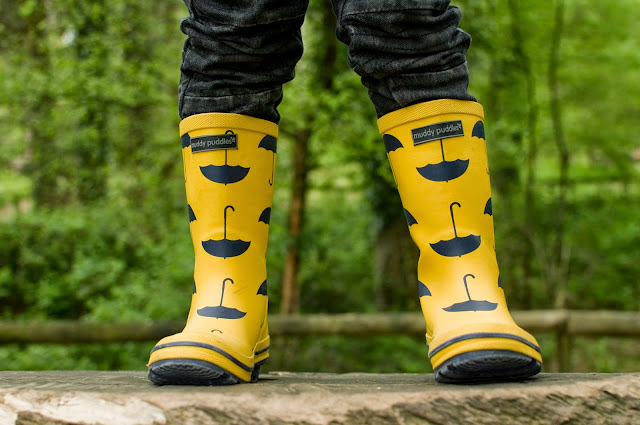 Definitely in the mid range of wellies but has all the qualities of a high end product. And with the gorgeous designs you can't help but not add them to the basket. 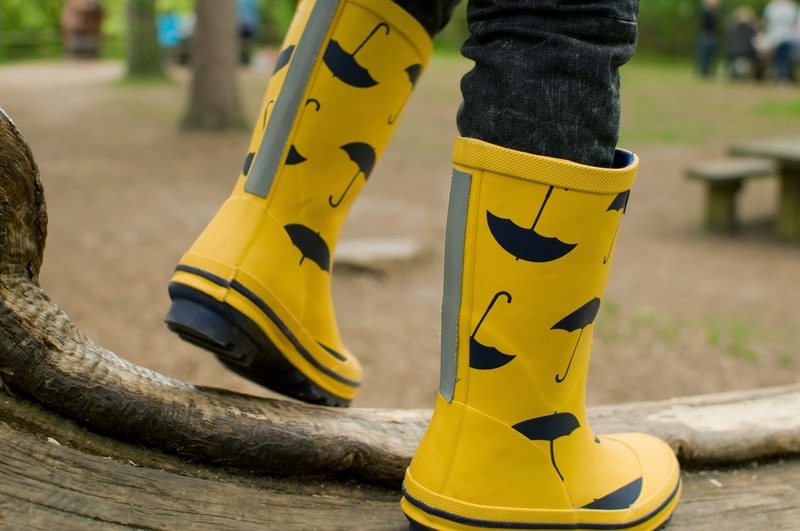 Thank you Muddy Puddles for the opportunity to review your wellies. 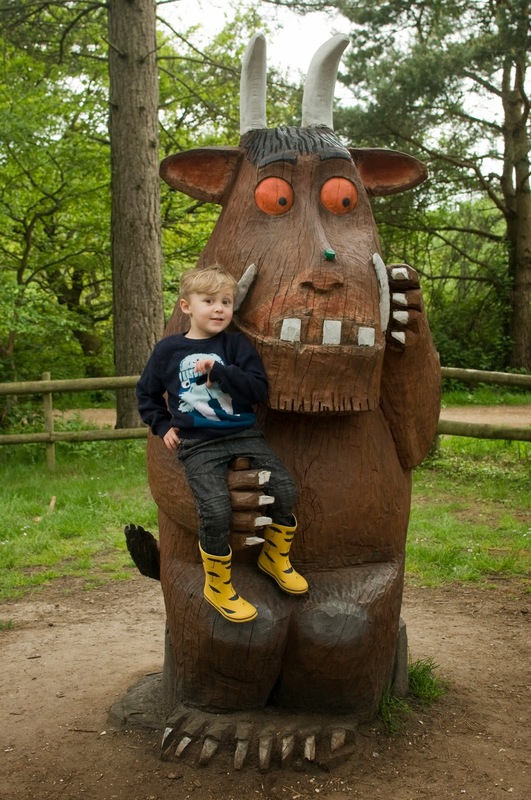 Let's just say they are a firm favourite in our home and even the Gruffalo agrees!